On Saturday 23 in April will be held the 37th edition of the Descent of Piloña. The test will leave Infiesto at 17h preceded by the traditional parade. Previously, the 12h will be the exit of the popular descent. As usual, the test will be accompanied by a river train. 18: 30 hours Documentary screening Manolo Busto 10 times world champion. 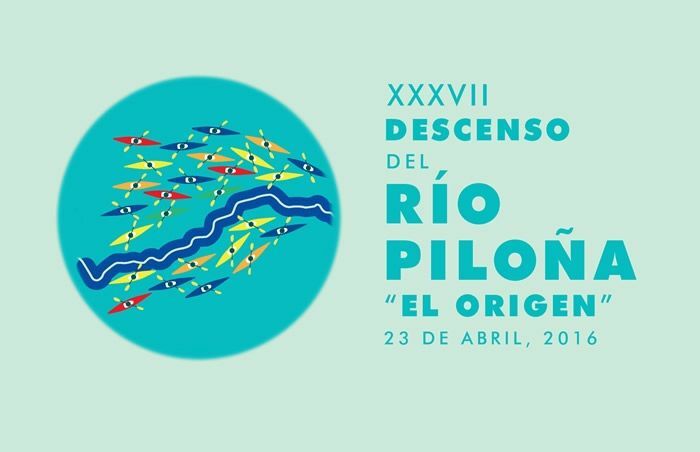 19: 30 hours Presentation of the XXXVII Descent of the Piloña River and presentation of the poster "80 Anniversary of the International Descent of the Sella". 12: 00 hours Historical descent "80 Anniversary of Origin". 12: 00 hours II Popular descent of the Piloña river. Includes canoe, shovel, life jacket and espicha to the 14: 00 hours in the Plaza Mayor. Price 10,00 € person. Inscriptions Café Fresh and Cafetería Alpaca. 12: 45 hours Lotu, the Asturcón on the Vieyu Bridge will receive the winners of the II Popular Descent of the Piloña River. 15: 45 hours Parade for all ages. Departure from the Railway Station, crossing the streets of Infiesto. 17: 00 hours Exit XXXVII Descent of the Piloña River on the Vieyu Bridge. 17: 10 hours Exit fluvial train from the stop of Infiesto, next to the Health Center. 17: 30 hours Children's animation. Main Square. 19: 00 hours Departure of the Sevares river train to Infiesto station. 20: 00 hours Award ceremony in the Plaza Mayor. Distribution of bollu and cider to those who have acquired the bonus.